60. I start and end this blog post with selected lines from poems. Dylan Thomas began his Poem in October with: It was my thirtieth year to heaven. Today marks my sixtieth year to heaven(I hope) and instead of Dylan Thomas describing the beauty of Wales in October on his birthday, I am witnessing six months and thirty birthdays later, the beauty of Iowa in April. April brings the brightest green grass of the year, the snow white blossoms of the pear tree in my back yard, and the soon-to-be red blossoms of my crab apple tree in the front yard. Colors seem to explode from every flower and bush. Birthdays also mark time in relationship to other events, including the anniversary of the Oklahoma City bombing. Albert Einstein died 60 years ago yesterday. Sixty years ago this month, Churchill left office as the Prime Minister of Great Britain. The American Revolution started two-hundred and forty years ago on this date. For me, dates give a sense of one’s location in both the positive and negative swings of history. Correspondingly, numbers can give us perspective and relative significance of the people, events, and details of our lives. Today, I review some numbers that I have heard over the past several months; numbers that cause me to reflect on health reform, both positively and negatively. 4, 40,000-50,000, 190,000, 11. This week I met with Iowa Insurance Commissioner Nick Gerhart, regarding health insurance options in light of the demise of CoOportunity Health. Mr. Gerhart is the fourth Iowa insurance commissioner I have met with over the years. In the past, I have talked with Dave Lyons about the formation a health insurance cooperative. I talked with Teresa Vaughn regarding the children’s health insurance program(CHIP), and with Susan Voss regarding health insurance cooperatives. Commissioner Gerhart explained to me the significance of grandfathering non-compliant Affordable Care Act(ACA) individual health insurance policy holders. He said there was a significant distinction between policy holders who signed up for health insurance before August, 2010(referred to as grandfathered policy holders), and policy holders who signed up between August, 2010 and January 1, 2014(called transitional policy holders). The distinction is that grandfathered policy-holders can renew their health insurance policies without regard for ACA compliance, that means they can renew their policies for life. The transitional policy holders must select a new ACA compliant individual insurance plan by January 1, 2017. In Iowa, the numbers for last year as told to me in this recent conversation, are 190,000 individuals hold grandfathered policies. Forty to fifty thousand individuals hold transitional policies. The significance is two-fold. The grandfathered policyholders will never be part of the individual health insurance pool—on the exchange or not on the exchange—which continues to create a disparity in terms of insurance risk. Secondly, the transitional policyholders will join the pool of individual insurance risk for ACA compliant plans in 2017 with, undoubtedly, much higher insurance premiums. An insurance actuary recently said that there will not be a level playing field in the individual health insurance market in Iowa for a generation due to the perpetual nature of the grandfathered policies. Such policyholders will pay for this skewed situation through higher taxes (as all of us will) to make up for the need for higher governmental subsidies for individuals who make less than 400 percent of the Federal Poverty Level (FPL). The middle class, who earn more than 400 percent of the FPL, will experience higher premiums without subsidies, as well as higher taxes. This is all due to the lasting legacy of President Obama’s explicit promise: If you like your current health insurance, you can keep it. In retrospect, I feel this promise to individual policy-holders was a mistake. Commissioner Gerhart said May 11 is the final date for insurance companies to announce if they will offer individual health insurance policies in Iowa in 2016. Hopefully, there will be new companies offering policies both on and off the exchange in 2016. 25, 50. The current trend in health insurance markets is the selection of high-deductible plans. 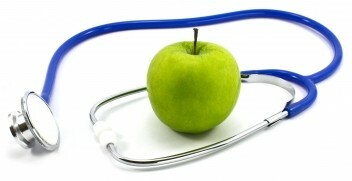 Many of my patients have $5,000 or $6,000 deductibles for health spending separate from preventive services. This option has, in my mind, taken on an expectation that selecting a high deductible plan is what an individual or family should do in terms of health insurance. In Philadelphia recently, I was told that 50 percent of Americans do not have $1200 of available financial resources to make a payment to meet their health insurance deductibles, and 25 percent of Americans did not have the personal assets that would allow them to borrow $3,200 from a lender. Because of high deductibles, many of my patients feel that despite paying high premiums, essentially they do not have health insurance. Many of them will forestall being evaluated for their health care needs because of their inability to pay the required deductible. For me, the tragedy is that in spite all the effort expended to provide health insurance to a greater percentage of Americans, health care insurance has led to many Americans having health insurance that does not provide them with adequate health care coverage. 1. This number represents the number of nonprofit companies expected to submit a bid for the Iowa Medicaid Managed Care contract. Medica, based in Minneapolis, is the only nonprofit company expected to submit a bid. I was told that Medica was spun off from United Health Care as a nonprofit company several years ago. Minnesota only allows nonprofit health plans. As I have said in previous posts on this blog, I have serious concerns with for-profit health plans offering services to the vulnerable populations in Iowa’s Medicaid. If Medica receives one of the two-four contracts, it will be interesting to test my hypothesis regarding the relative merits of for-profit and nonprofit health plans serving a Medicaid population. As my birthday ends, so does my musing regarding numbers and their significance to health reform. As I have said in a previous blog, my interest and passion in improving health care coverage continues to drive my efforts in health reform. I applaud all who also are working on these efforts. As I conclude this post about numbers, I feel all of us can sympathize with this line from Andrew Marvell’s poem To His Coy Mistress: But at my back I always hear Time’s winged chariot hurrying near.